Silent. 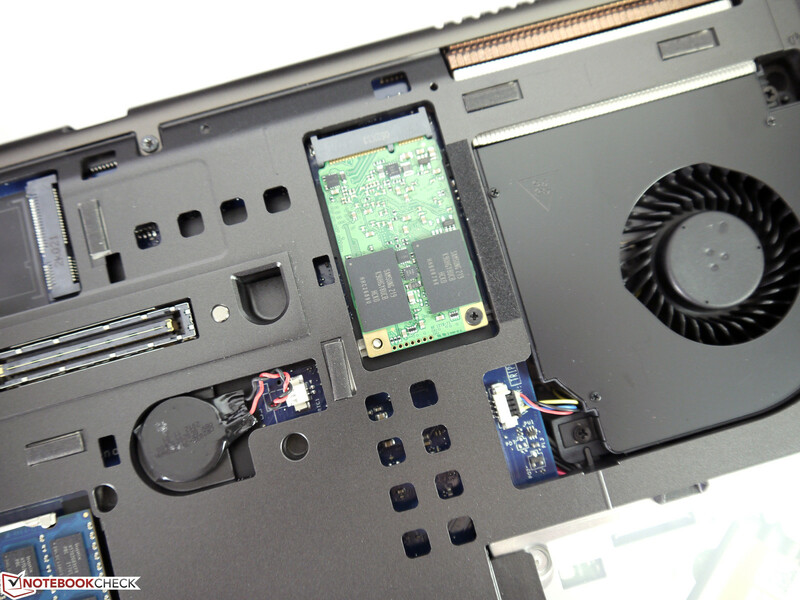 Dell's Precision M6700 could already convince us with its high performance and agreeable noise development in a first review. Now Nvidia's highest performance, professional Quadro K5000M graphics is installed and has to prove for whom this configuration upgrade is really worthwhile. We also closely examined whether the other qualities are not neglected. 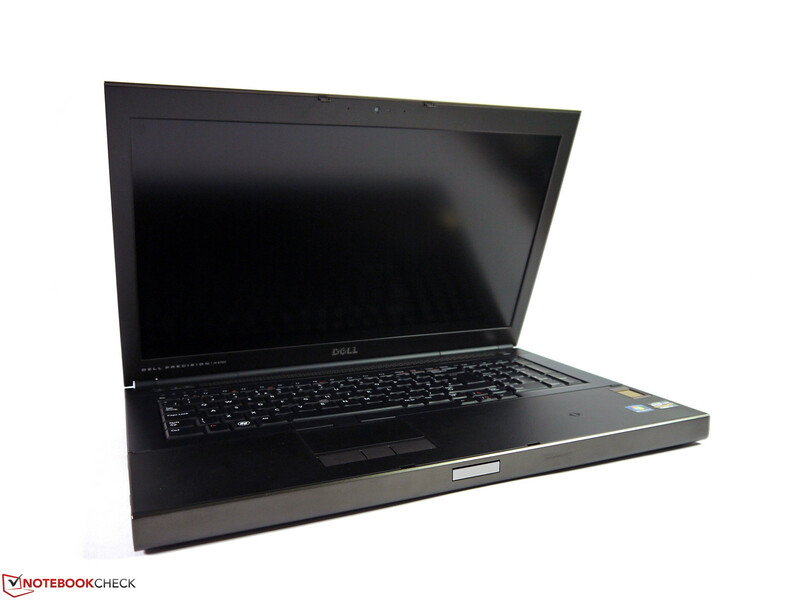 Dell's Precision M6700 leads our workstation ranking alongside its smaller brother, Dell's Precision M4700. 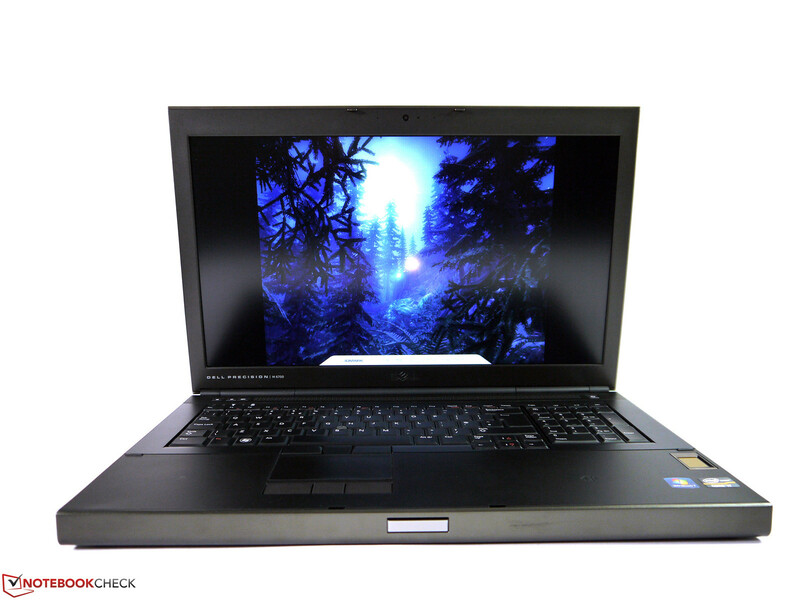 The reason that the 17-inch premium model is only in second place could be that the older test model featured the attractively priced AMD FirePro M6000. 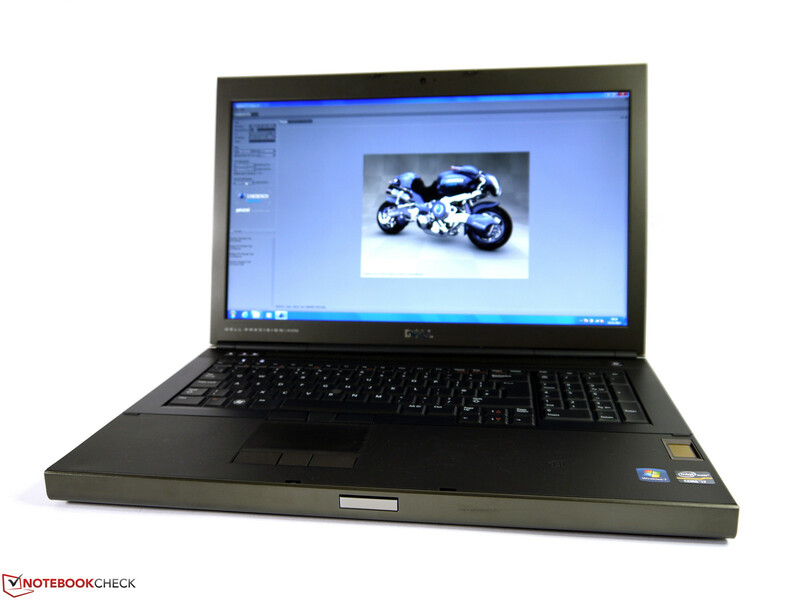 Now we have gotten hold of a test model with the strongest Nvidia Quadro graphics chip, the Quadro K5000M. 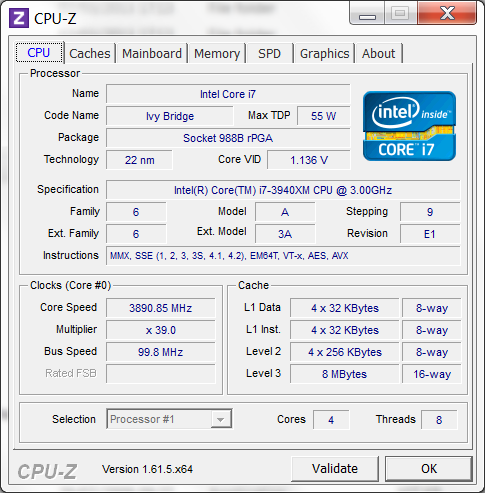 A more potent Intel Core i7-3940XM CPU is also integrated, which is the current ultimate until the Haswell architecture is released. The working memory has been doubled to 16 GB and features a higher clock. A total of three solid state drives are used as storage devices. This is divided into 256 GB for the operating system and 2x 512 GB for data. We regrettably did not get an IPS screen with RGB LEDs. Instead, the standard Full HD screen is installed again. The test device currently has a gross price of about 7600 Euros (~$9867). 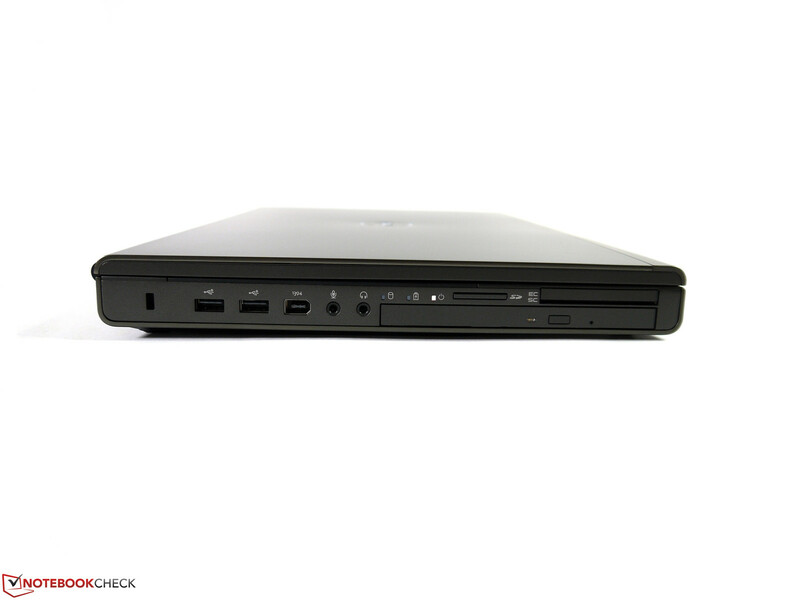 The casing is identical with that of the previously tested Dell Precision M6700 with AMD's FirePro M6000. The umber-colored metal surface is very rigid and resistant. 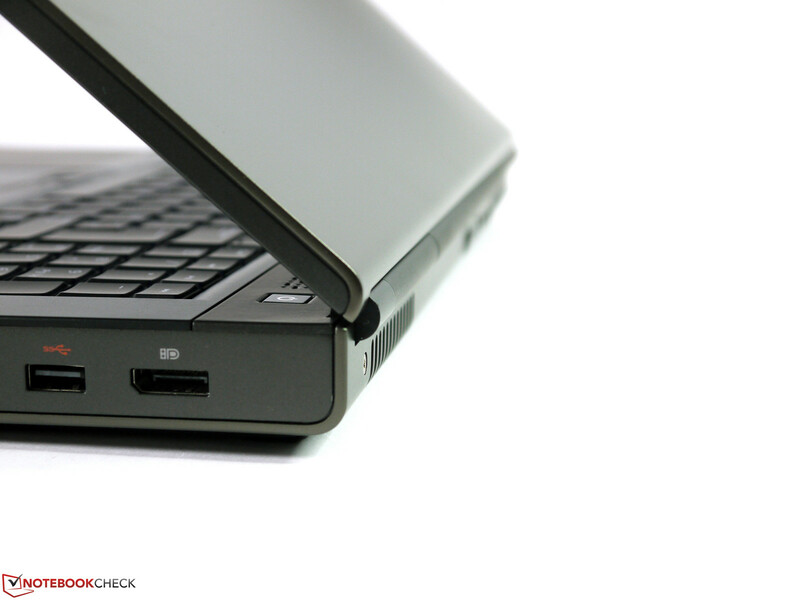 The display hinge has a firm grip on the screen and the wrist rest only yields slightly over the ExpressCard slot. The casing's stiffness is exemplary. The base is closed with a big cover that is secured with two screws and most important components are found beneath it. 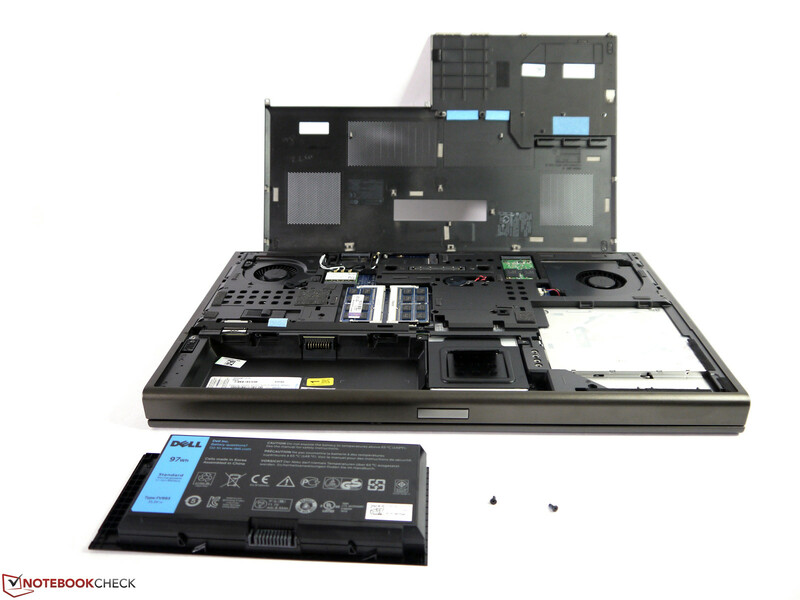 The Precision M6700 cannot be placed stably on a surface when the battery is removed because one of the feet is attached to it. 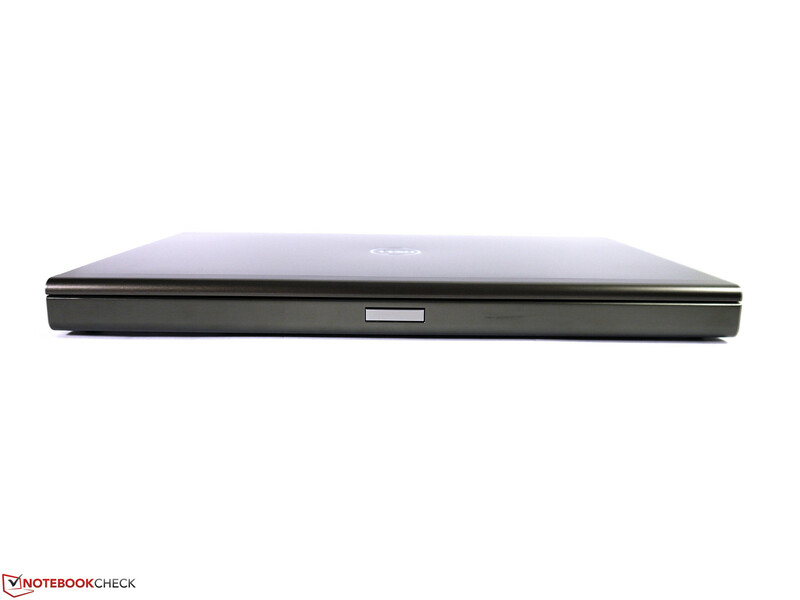 More impressions about the casing can be found in the review of Dell's Precision M6700 and Precision M6600. The connectivity has been well-solved in every way. The number and position are exemplary and cater to virtually all needs. Only unusual interfaces, such as FireWire 800 or Thunderbolt, are not found. 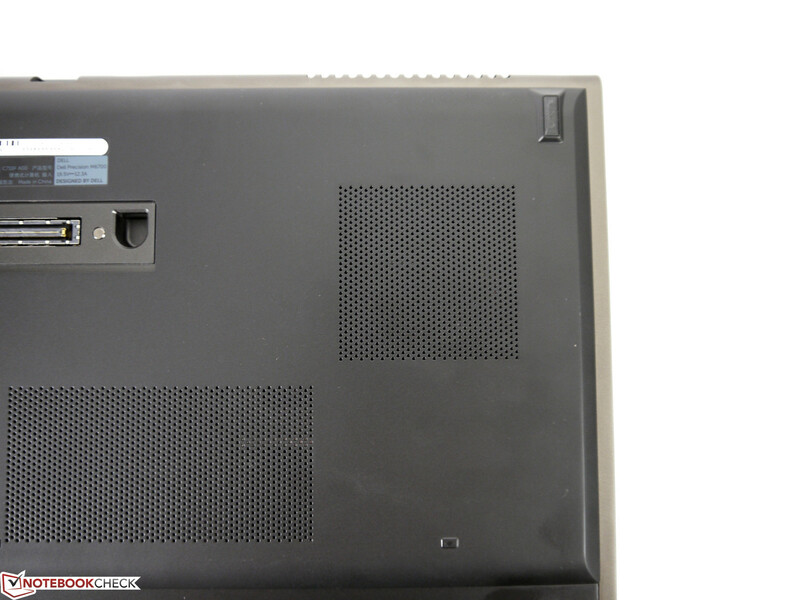 The current test model sports a common slot-in DVD burner rather than a Blu-ray burner. We tested the card reader with an SDHC SanDisk Extreme Pro UHS-1 (8 GB) and reached sequential read speeds of 75 MB/s and write rates of 48 MB/s. 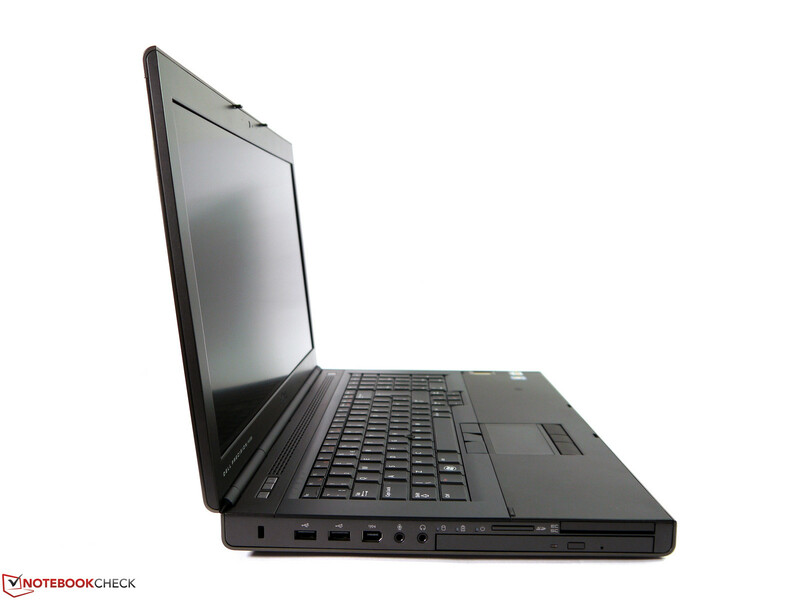 Consequently, the speed advantage of fast memory cards can be used well in Dell's Precision M6700. 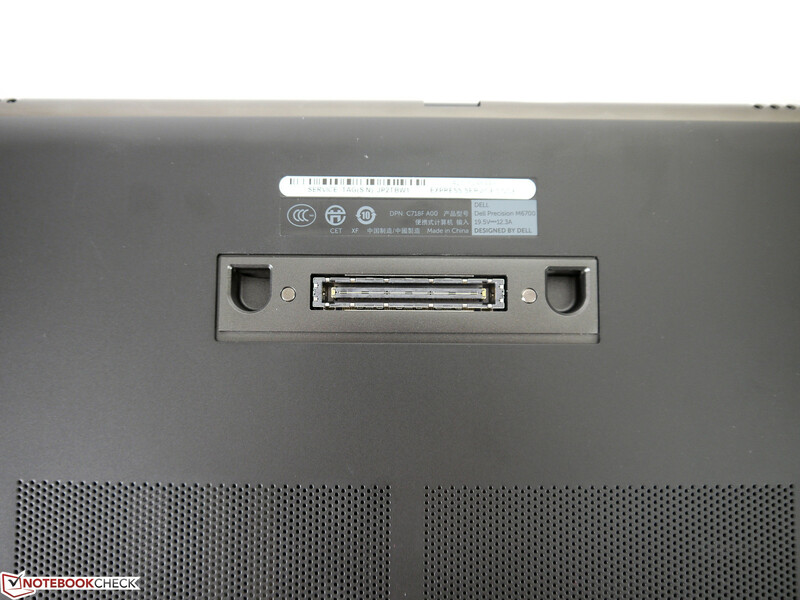 All other connectivity details are identical to the previously tested Dell Precision M6700. The warranty covers the usual 36 months. The keyboard virtually features the same qualities as the first test model. Only the keyboard's left area yielded noticeably and could annoy prolific typists. 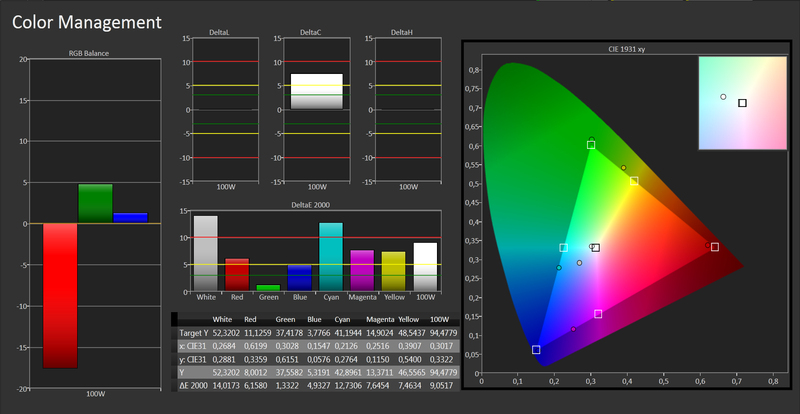 This is likely restricted to the test model seeing that Dell has proved that it can do a better job. Another drawback is again the omitted keyboard light. We also find the standard Full HD screen in this test model. Unfortunately, we could not get hold of an RGB LED screen for this update review. However, the screen comes from Chi Mei rather than LG Philips this time. Both screens are high-quality but differ marginally in details. The brightness ranges from a minimum of 257 cd/m² in the upper right corner to a maximum of 309 cd/m² in the lower center at our nine measuring points. 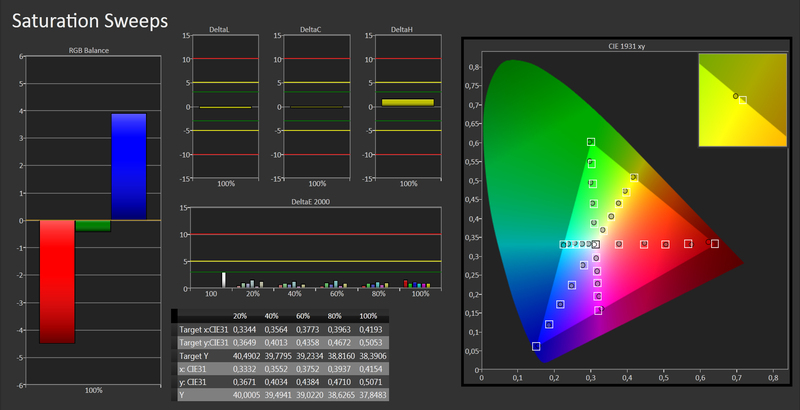 This results in an average of 283 cd/m² and an illumination of 83%. Slight brightness differences can only be seen on monochrome backgrounds when looking very close at the screen. 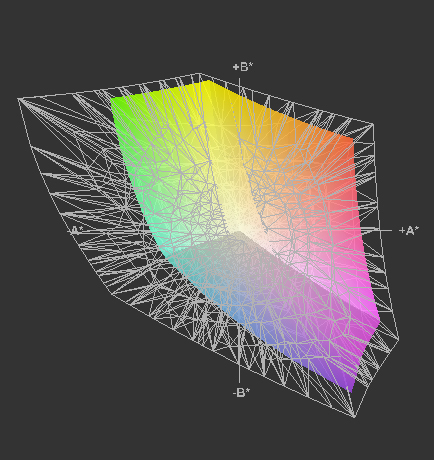 The contrast is now 797:1 and reproduces even richer colors and a more saturated black. The color space coverage is not quite as good as in the LG Philips screen and exhibits somewhat larger gaps particularly in the blue-cyan-green range. The screen is only average in the other qualities like gray scales, color accuracy and color saturation in factory settings. 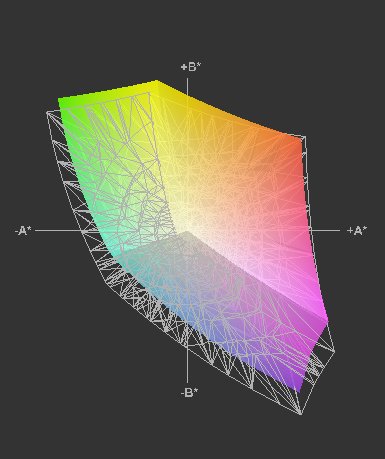 After calibration, the screen shows its true potential. The gray scales are reproduced very precisely with an average DeltaE 2000 of 1.78. 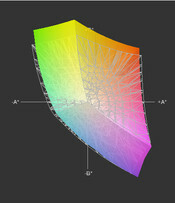 The color accuracy is almost perfect except for slightly shifted red and magenta values and the color saturation also only deviates marginally from the ideal. 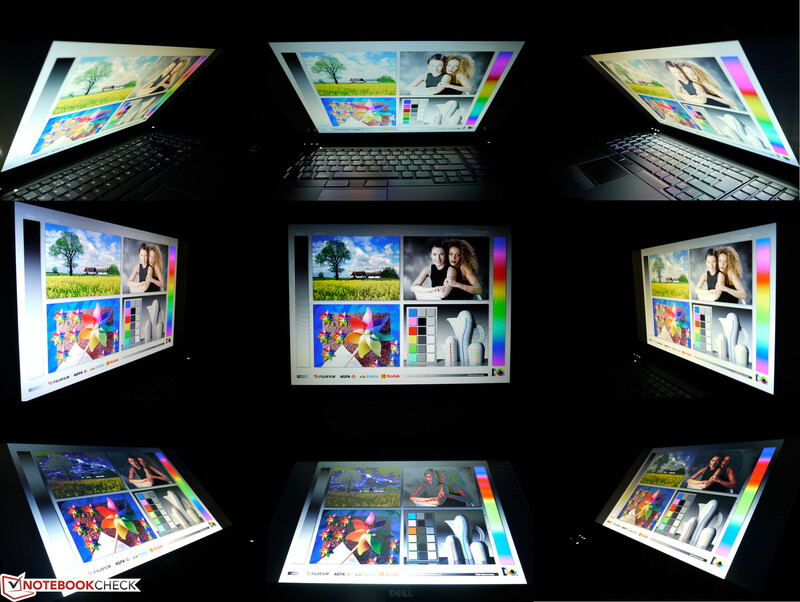 Consequently, the screen is suitable for image processing if the user does not need 100% color space coverage. The Chi Mei TN screen's viewing angle stability is subjectively identical to the LG Philips screen. Only marginal color and brightness deviations are seen from the side horizontally. The content fades or inverts from large viewing angles vertically. 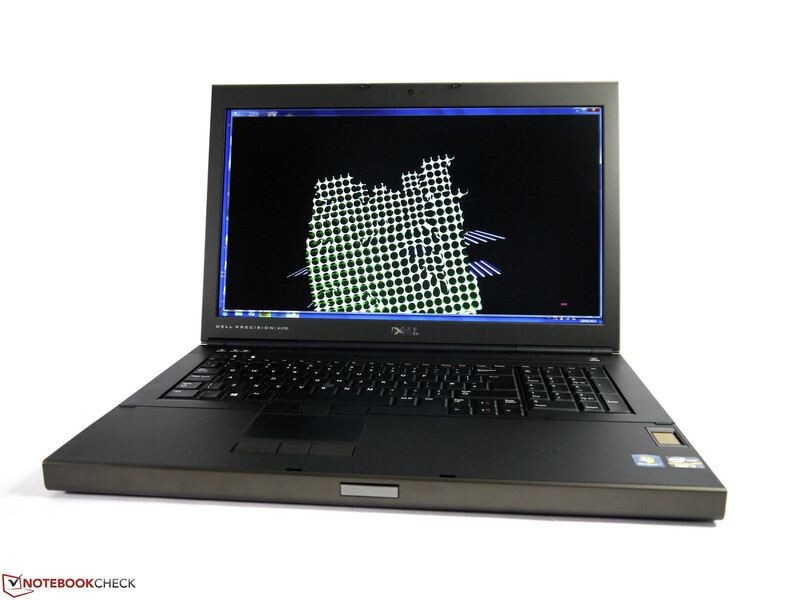 Our test model sports the currently strongest mobile CPU, Intel's Core i7-3940XM. Dell combines it with the premium model of Nvidia's professional graphic cards, the Quadro K5000M. 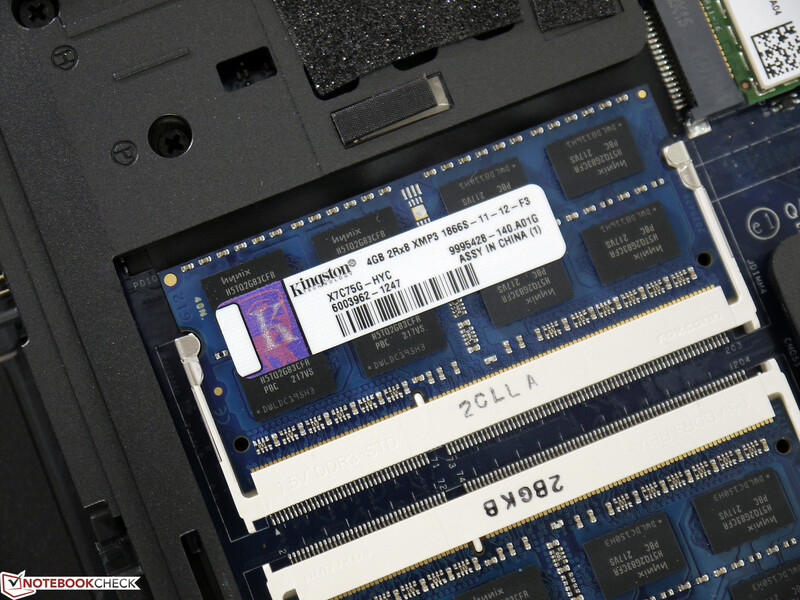 A fast 16 GB PC3-14900 working memory from Kingston and three SSDs complete the high-performance workstation. Our test configuration is available for a price starting at around 7600 Euros (~$9867, gross) at Dell. Thus, the price is much higher than that of our first test model (5200 Euros, ~$6752), which featured AMD's FirePro M6000 graphics and Intel's second-fastest Core i7-3920XM. Intel's Core i7-3940XM supplies top rates in all test fields. Only desktop CPUs provide even more computing power. Four physical computer cores, Hyper Threading, 8 MB of L3 cache and Turbo Boost (3000 - 3900 MHz) are key configuration features that ensure a particularly high performance. Top scores can be expected in single-thread as well as in multi-thread tasks. 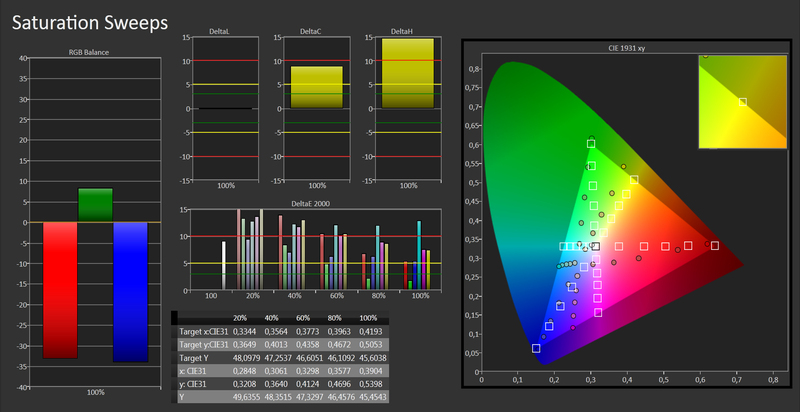 For example, 6506 points was achieved in Cinebench R10 64 bit single-core and 25475 points in multi-core. Converting MP3 files to AAC format via iTunes was performed with x55.9 speed (single-thread), which is, up till now, the best rate of Intel's Core i7-3920XM CPU. 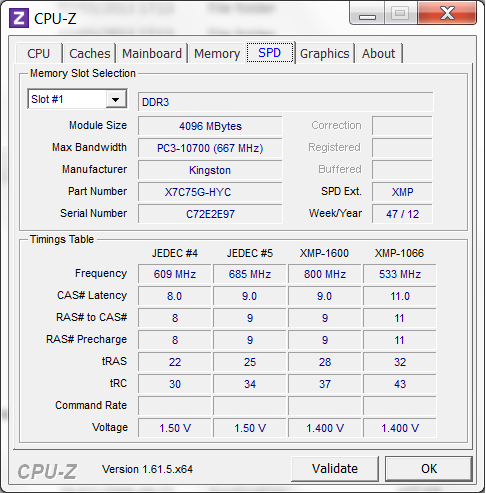 The 100 MHz difference in the maximum clock rate apparently does not have an effect here. Converting two movie files via Cyberlink's MediaEspresso media converter was also accomplished in a best time. We did not ascertain a reduction of the processor clock rate in battery mode. However, the user will have to reckon with clock throttling after approximately 20 minutes of simultaneous CPU and GPU load. More about that under Emissions. Almost everything that is technically possible is exhausted in system performance. Only a swifter SSD-RAID array could provide an even better result. However, the present configuration's results, 20046 points in PCMark Vantage and 6203 points in PCMark 7, are more than satisfactory. 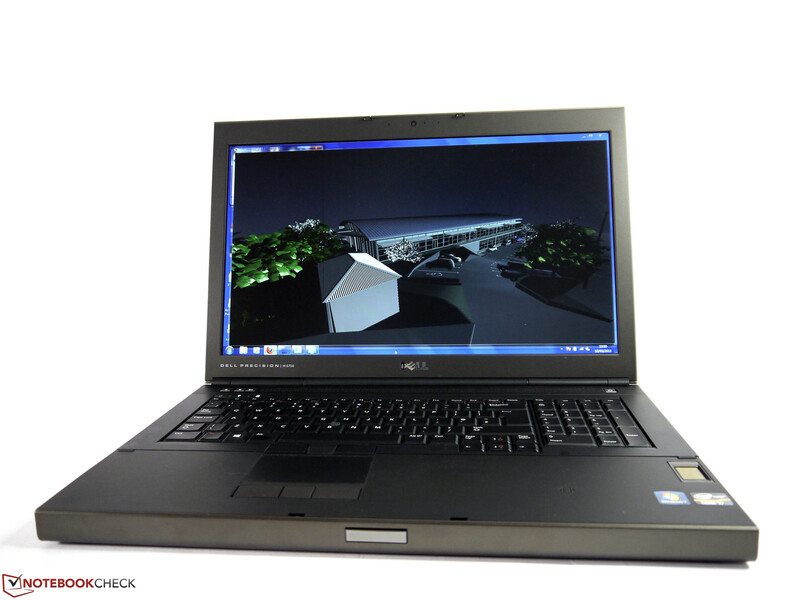 The user will not have to worry about performance for the next few years with this laptop. The operating system is installed on a 256 GB mSATA SSD. 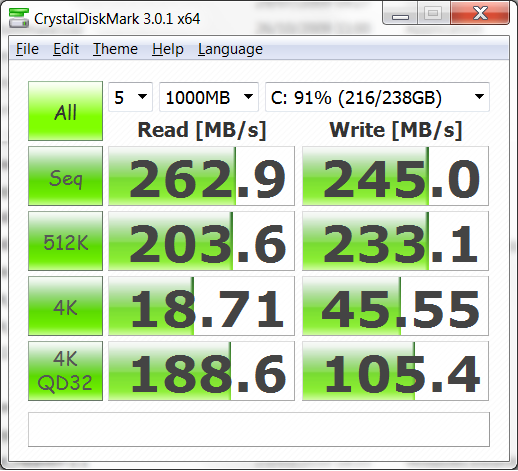 The good results of Samsung's PM830 solid state drive were already compelling in previous tests. In this case, its scores remain behind its potentials in a few subareas. The reason for this is the mSATA SSD connected via SATA II, which is bogged down at about 270 MB/s. This disadvantage primarily affects the maximum sequential read and transfer rates. Accessing and processing multiple small files (4K QD32) at the same time is accomplished just about as fast as with a SATA III interface and makes up the largest part of the subjective routine work speed. 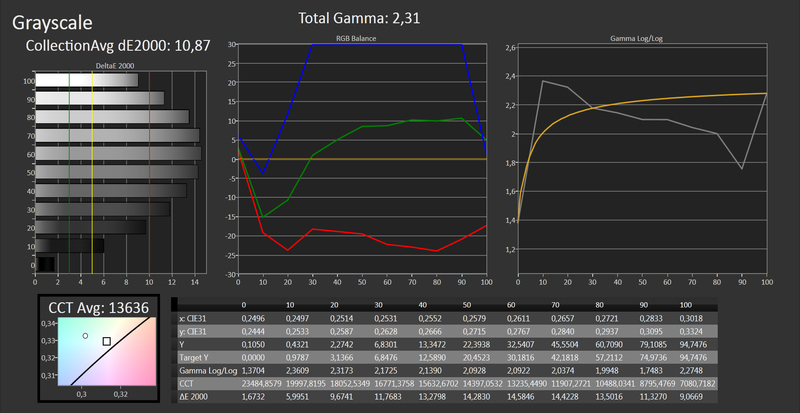 More information can be found in our extensive HDD benchmark chart. The user can store files on the enormous capacity of two 512 GB SSDs from ADATA. They are connected via SATA III and can thus provide full speed. This ensures a very fast data transfer rate between the storage devices. Our test system embedded all SSDs as single drives. Implementing various RAID configurations that are either made for performance or redundancy is also possible. The power of Nvidia's Quadro K5000M (technical specs) is very dependent on optimized Quadro drivers. They ensure an enormous speed boost particularly when compared with similar high-performance consumer-range models. In addition to that, the special drivers also affect the stability and compatibility with many professional applications, which are reflected in a corresponding ISV certification. The results from the SPECViewperf 11 benchmark show that Nvidia's Quadro K5000M delivers top performance across the board. In contrast to AMD's FirePro M6000, it even has the lead in all fields. Depending on the application field, the difference is relatively low and the question whether the surcharge is really worthwhile could arise. This is the case in, for example, Solid Works, Maya and Lightwave. Compared with the Nvidia Quadro K5000M in Schenker's XIRIOS W712, Dell's Precision M6700 is clearly defeated in Maya, TCVIS and Siemens NX. This is not due to the different driver versions. 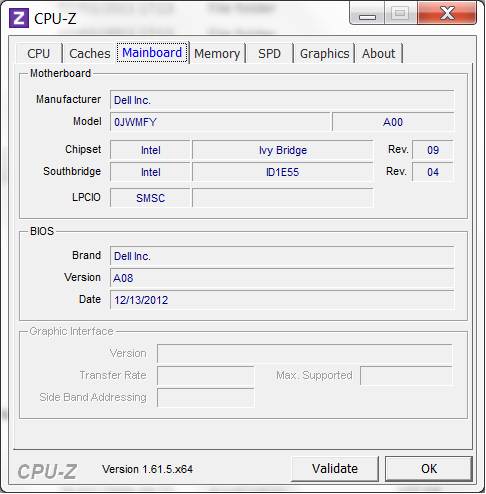 An update to the newer ForceWare 307.68 did not bring visible performance increases in Dell's Precision M6700. The much better scores are probably due to the XIRIOS W712's better multi-thread performance and twice as big working memory. The performance of the older test devices listed in the comparison graph might have increased with the driver updates in the meantime. 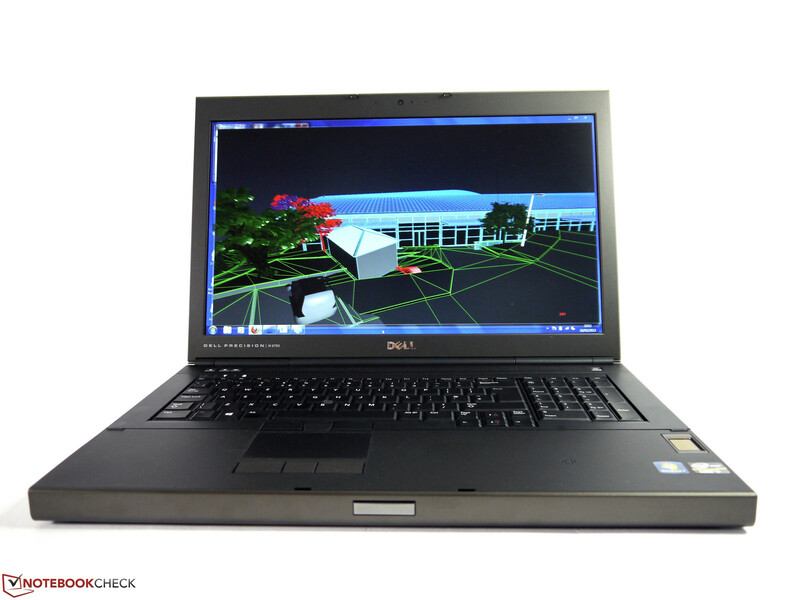 The test system can also use Intel's Quick Sync technology for video converting tasks owing to Optimus and the enabled Intel graphics. This is currently the fastest way to convert videos to another format. The user can also benefit from a very low processor capacity. Another possible alternative would be video converting via Nvidia's CUDA engine or processor-only power. However, the tasks need much longer with these technologies. This difference particularly becomes relevant in big projects. 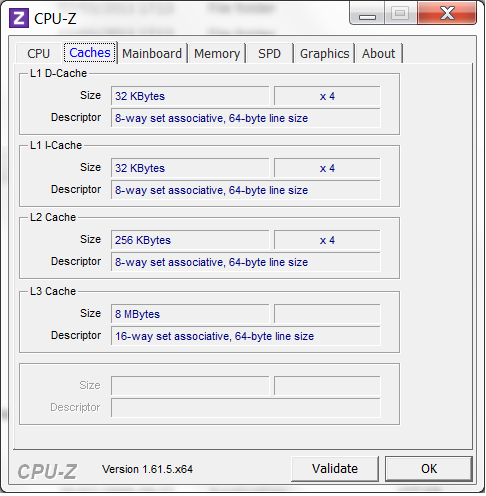 A performance comparison is graphically illustrated under Processor. 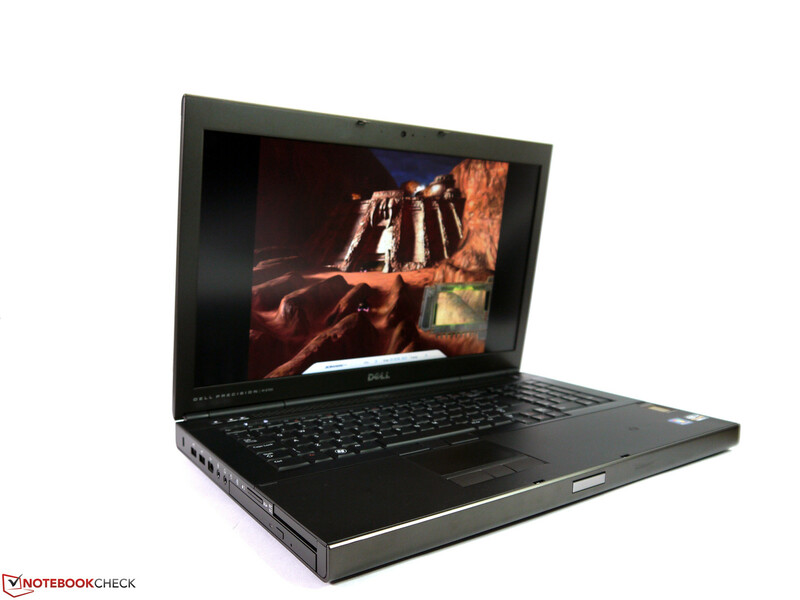 The scores are slightly higher than Nvidia's GeForce GTX 675M in the DirectX 11 benchmarks. In 3DMark 11, 5152 points was achieved and only 2724 points in 3DMark Fire Strike. The score of Schenker's XIRIOS workstation (76 fps) was even surpassed in Cinebench OpenGL Shading with 84 fps. 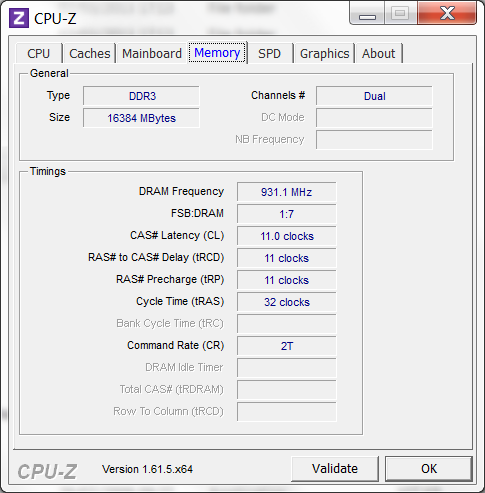 The dedicated graphics card only runs with its default clock of 135 MHz in battery mode. This results in a performance loss of approximately 60%. For example, only just below 27 fps in contrast to 84 fps was achieved in Cinebench R11.5 Open GL Shading. In return, the graphics performance remained consistently stable in AC mode and did not suffer from temperature throttling like the CPU. A workstation is not really conceived for gaming. Nevertheless, the high-performance graphic chips are very suitable for this purpose. We did not notice any negative effects due to the special Quadro drivers. Almost all the games we tested could be rendered smoothly in maximum quality settings and Full HD resolution. However, a drawback of Dell's Precision M6700 is that resolutions between 1280x1024 and 1920x1080 pixels are not supported, neither internally nor on an external monitor. 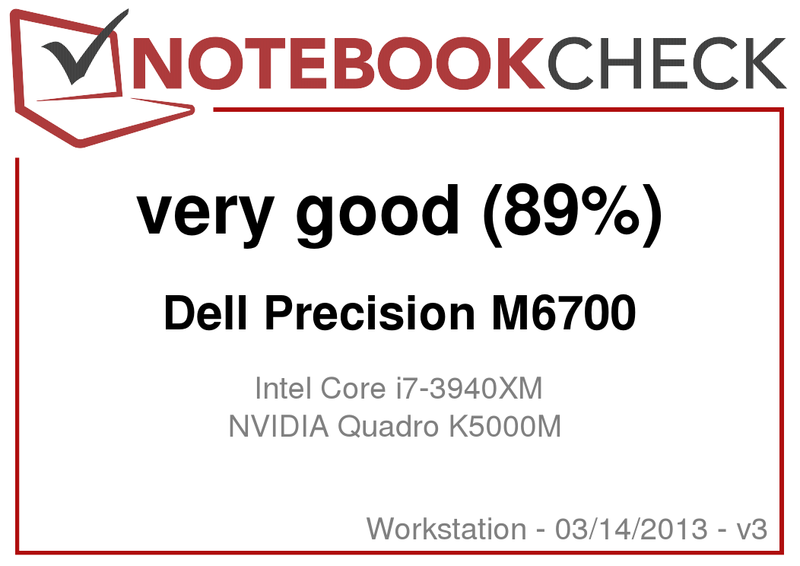 Unlike most other manufacturers, Dell has managed to fuse high-performance with very low noise generation in its Precision M6700. 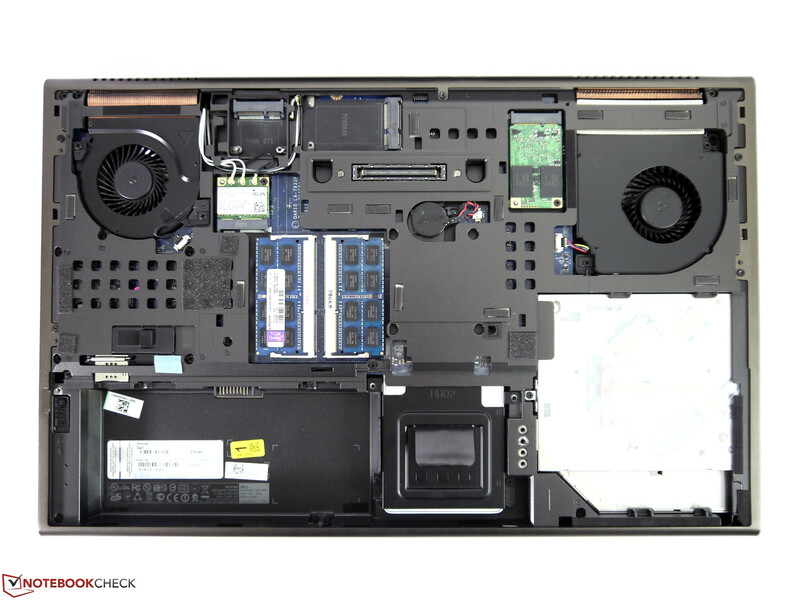 The laptop was silent and only its quiet fan noise was occasionally heard in low load. We also observed this when Nvidia's Quadro K5000M was enabled instead of the integrated Intel HD Graphics 4000. 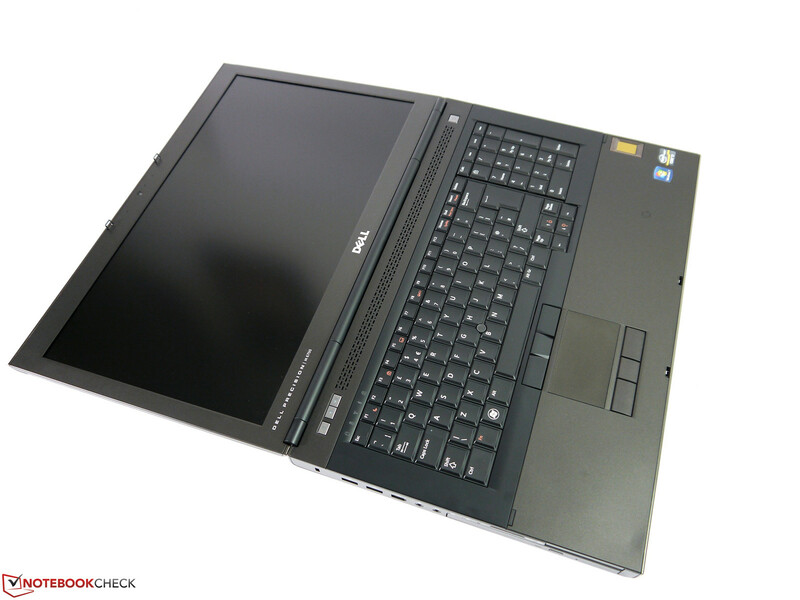 However, a difference to Dell's Precision M6700 with AMD FirePro M6000 was noticed in medium load. It was considerably more present with 40.5 dB(A) than the latter's 34.6 dB(A). Longer use first got unpleasant during full load where the fan produced 48.9 dB(A) at full speed. However, we liked the fact that the fans slowed down noticeably soon after a load period and the high noise level was really only present during high load. The temperature development on the casing's surfaces can be called moderate. With a maximum of 45 °C, Dell's Precision M6700 remained far below 50 °C at our usual measuring points even after 2 hours of full load. It got a lot warmer with up to 56 °C at the rear vents and 54.8 °C at the docking port. The docking port apparently absorbs the heat extremely well and conducts it outwards. The wrist rest, working area and keyboard are much cooler with a maximum of 35.3 °C. While the casing's temperatures are overall within limits, it gets quite hot inside. 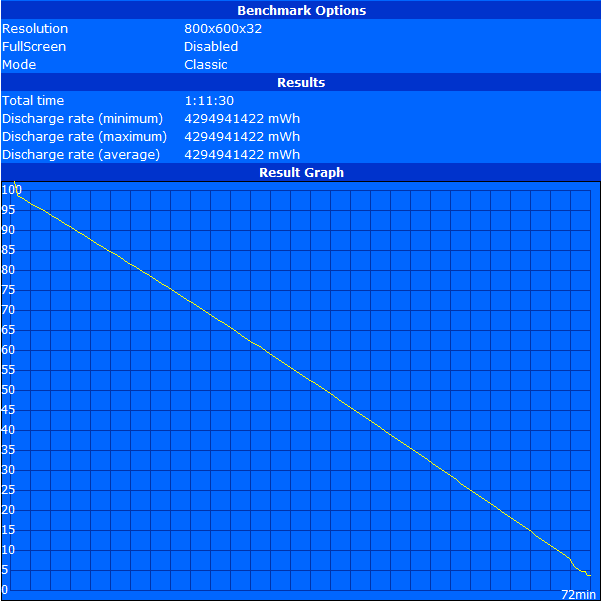 The HWinfo tool recorded a core temperature of 104 °C after approximately 20 minutes of full load (Furmark, Prime95). Temperature throttling sets in at this stage and results in a consistently fluctuating Turbo Boost between 3 GHz and 3.7 GHz. Dell's Ultra Performance energy saving profile (max fan level) did not improve this. We believe that the air intake vents on the bottom are too small and come too close to the surface. That impairs enough cool air from being taken into the casing during full load. 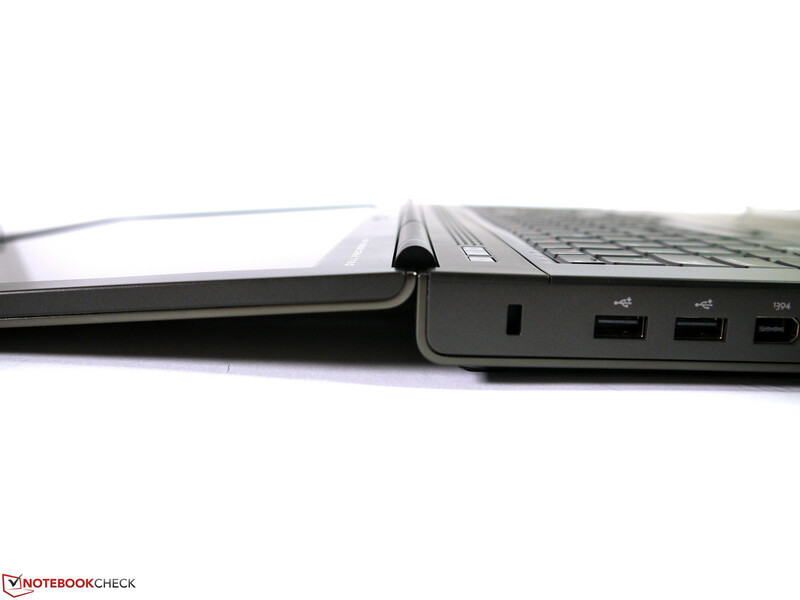 CPU throttling did not occur when the Precision M6700's rear was permanently jacked up by about 4 centimeters. This effect was not observed with Nvidia's Quadro K5000M. 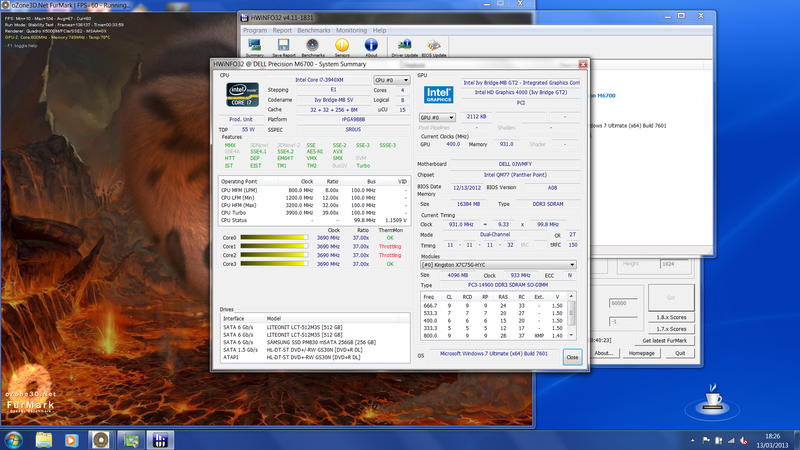 Its clock remained stable at 601 MHz and clearly below 80 °C. 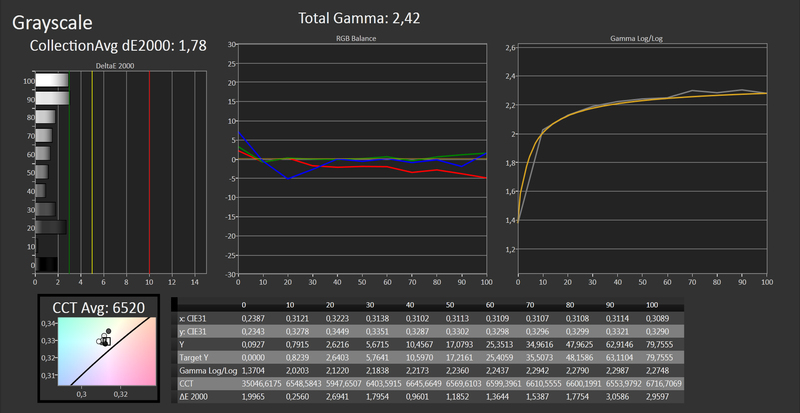 3DMark 06 performed directly after this even achieved a slightly better score of 24670 points than in the initial test. (±) The average temperature for the upper side under maximal load is 33.2 °C / 92 F, compared to the average of 31.1 °C / 88 F for the devices in the class Workstation. (±) The maximum temperature on the upper side is 40.3 °C / 105 F, compared to the average of 37.1 °C / 99 F, ranging from 23 to 69.8 °C for the class Workstation. (+) In idle usage, the average temperature for the upper side is 28.7 °C / 84 F, compared to the device average of 31.1 °C / 88 F.
(-) The average temperature of the palmrest area of similar devices was 27.8 °C / 82 F (-3.5 °C / -6.3 F). The power consumption measured at the mains ranged from 13.9 up to 181.6 watts. Because the Intel HD Graphics 4000 is enabled, the AMD FirePro M6000 version can be undercut by about 4.7 watts. When the dedicated Nvidia Quadro was active instead of the integrated graphics, the idle power consumption was 18.7, 23.7 or 25.8 watts, which is almost identical to the rates of AMD's FirePro. The high power consumption of Nvidia's Quadro K5000M ultimately takes effect and causes a power consumption of 181.6 watts. The 97 Wh battery, which is a good precondition for a practical battery runtime with its lush capacity, faces that. Our test model's runtime increased enormously due to the usability of Intel's HD Graphics 4000 in contrast to the AMD model without enabled Intel graphics. 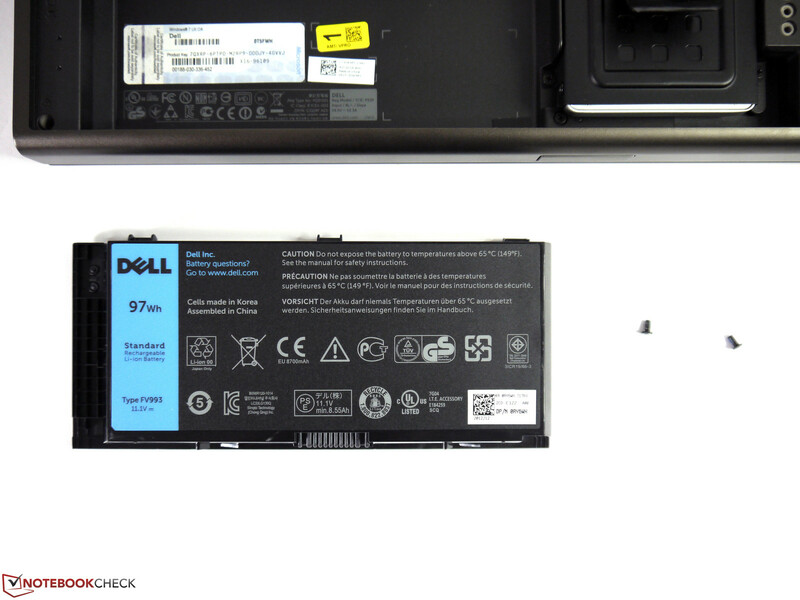 Compared with AC mode, Dell appears to use other energy saving options in battery mode. 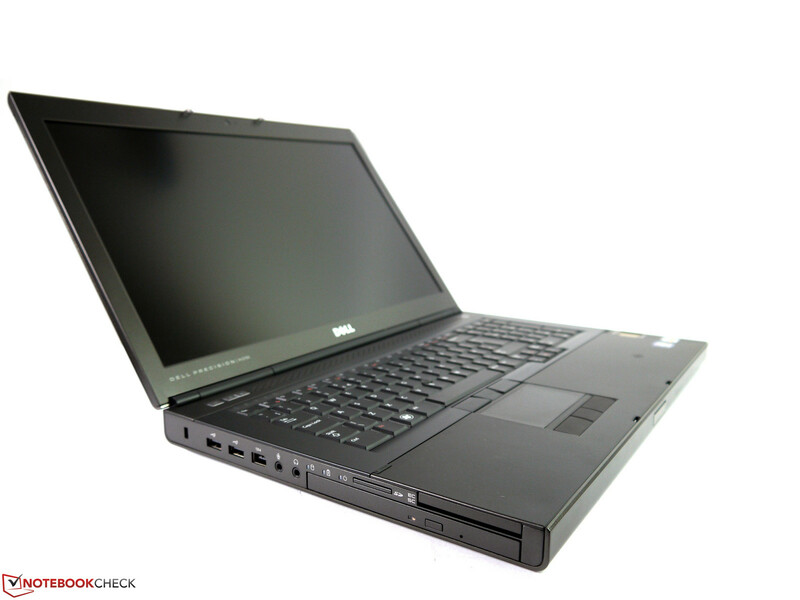 Owing to Nvidia's Optimus, Dell's Precision M6700 lasted for almost 9 hours without the power supply in Battery Eater Reader's test, performed with minimum screen brightness, energy saving profile and disabled wireless modules. The AMD model was already drained after just 5:28 hours in the same test. The more practical Wi-Fi test, i.e. internet browsing with a brightness of approx. 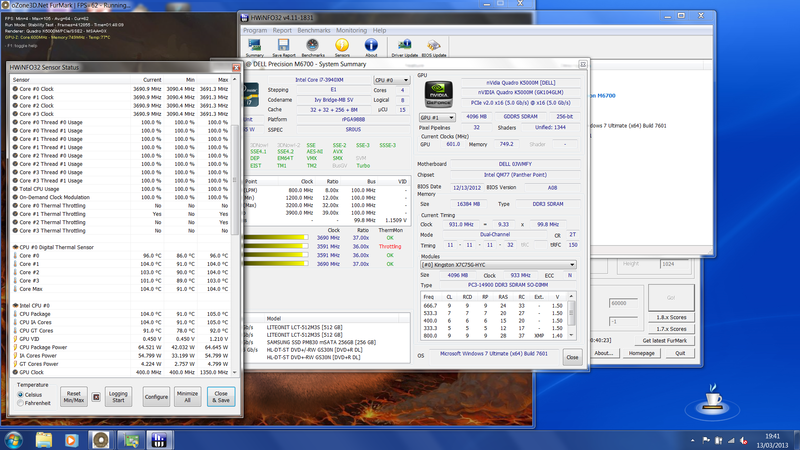 150 cd/m² and energy saving mode on Intel's HD, ran for a good 6 hours. The video test using a DVD, energy saving mode and maximum brightness proved that the user can watch a movie for roughly 5 hours without the PSU. Battery Eater's Classic test with maximum brightness, all on and high performance, finished much sooner and the battery was drained after 72 minutes. Compared with the maximum mains consumption, this still favorable result is mainly possible to the Nvidia Quadro K5000M GPU's clock reduction to 135 MHz in battery mode. Dell has created a masterpiece with it latest Precision series. No other contender we reviewed managed to fuse high-end performance with a low operating noise so well. Unfortunately, Dell blunders in stability in the test model, which is so important for workstations. CPU throttling during full load must not be an issue. This also makes buying the premium-range CPU ridiculous because just when it is needed, its potential is not permanently available. 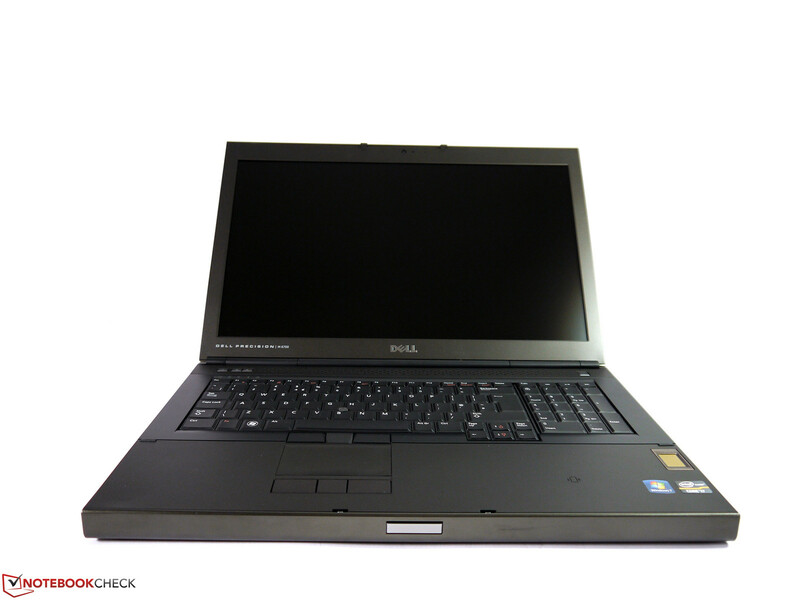 Other drawbacks, such as the operating noise's increase starting from medium load or reduced graphics power in battery mode, could also be key points for some buyers to opt against Dell's Precision M6700. Here it becomes obvious that the performance limit of Dell's Precision M6700 has been exhausted with this configuration. These restrictions could likely be sidestepped with a somewhat weaker CPU-GPU combination. 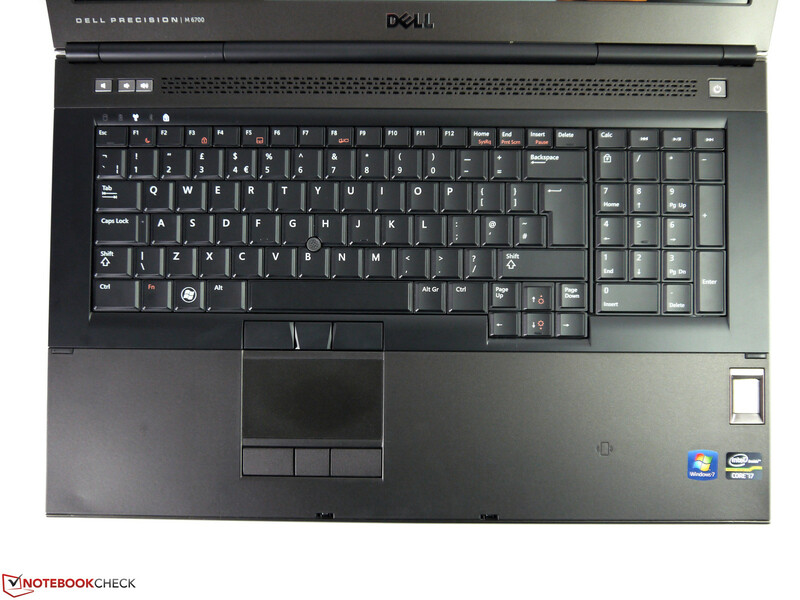 However, Dell does not make it easy for the potential buyer with the test model either. The pro side is not weaker. The casing's exceedingly high-quality and rigid qualities alongside a fairly light weight are appealing. The very good battery runtimes and the consequently only rarely needed power supply are more features that boost the mobility factor. The screen is appropriate for the target group, the system performance is enormous and the configuration as well as upgrade options provide a high measure of flexibility. 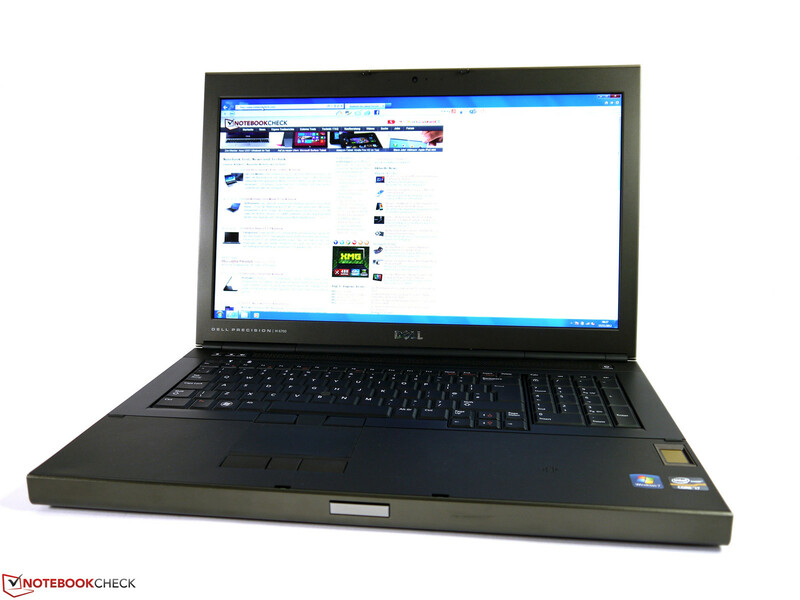 Dell's Precision M6700 is a very interesting workstation. The viewing angles are good, but not on the level of IPS screens. The keyboard is good but yields a bit on the left side. The rear vents can get quite warm. The components are easy to access. The battery capacity of 97 watt hours ensures long runtimes. CPU and GPU have a dedicated cooling. The operating system is stored on an mSATA SSD with a SATA II interface. A fast working memory from Kingston is installed. The laptop is WWAN ready. The cooling outlets cannot cater to the test configuration's cooling needs. The display has a wide opening angle. The buyer will find a top configuration, high performance and very good quality. for example, a good gaming suitability. The actual application field is however performance-devouring professional software. that can only be provided by special graphics cards with special drivers. Mobile graphics chips, such as Nvidia's Quadro K5000M or AMD's FirePro M6000, are among these. 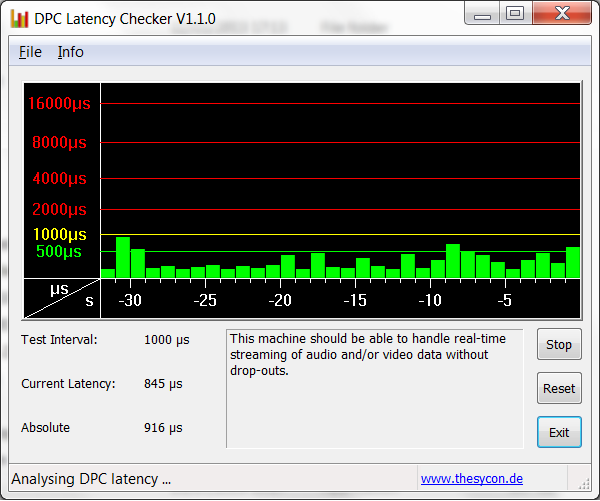 Dell's Precision M6700 is almost silent during low load. The operating noise is still well tolerable during medium load. However, the workstation comes to the fore during full load and the user has to deal with a disturbing noise level. In contrast to the rest of the base, the docking port gets very warm. The combination of high performance, exemplary casing qualities and very quiet operating noise during low load. A somewhat more reasonable surcharge for the hardware. 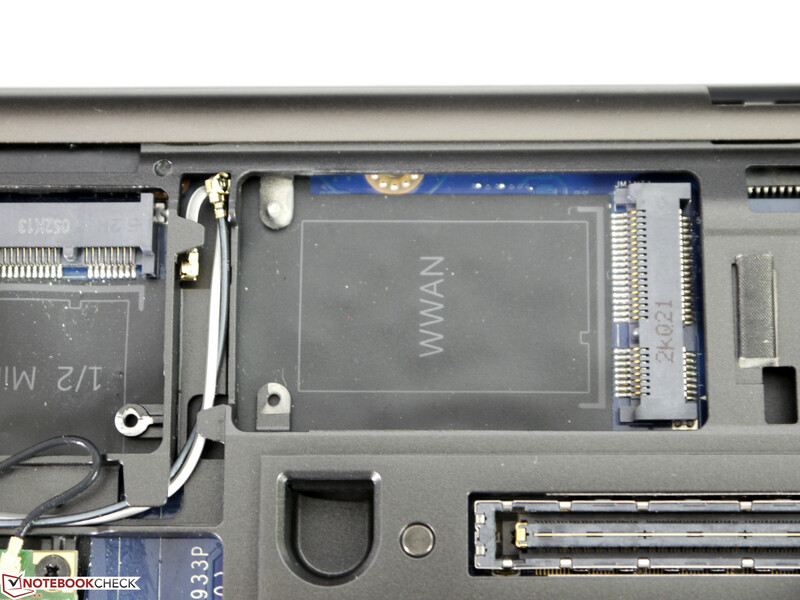 That the mSATA slot and consequently the system drive is only connected via SATA II. 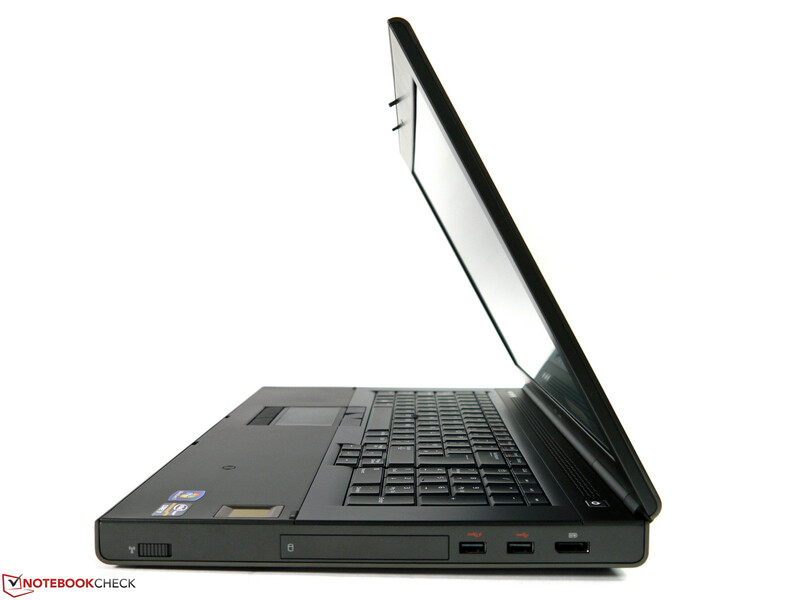 Dell Precision M6700 AMD FirePro M6000, HP EliteBook 8770w, Fujitsu Celsius H920, Bullman E-Class 4 i7, Schenker XIRIOS W712.